Dr Sittimont Kanjanabootra is inspired – in many ways – by Lego. Indeed, the talented researcher concedes there's much to learn and gain from the hugely popular children's toy, believing its proven and time-honoured sustainable, smart thinking is key to lifting the Asia Pacific's tired building industry. The interlocking plastic blocks may be miniature, but their impact is mammoth and enduring. "My overarching aim is to understand the process and issues surrounding construction management," he shares. "I want to improve its efficiency and effectiveness." 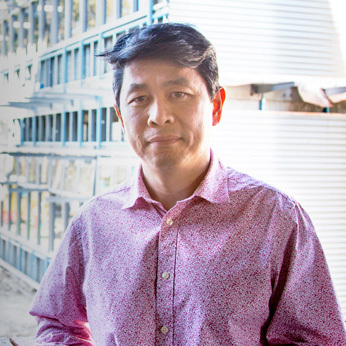 Employed as a design engineer in his native Thailand before entering academia at RMIT, Sittimont experienced firsthand the problems associated with forming different facilities. Whilst teaching, he was encouraged to undertake a PhD in 2008. 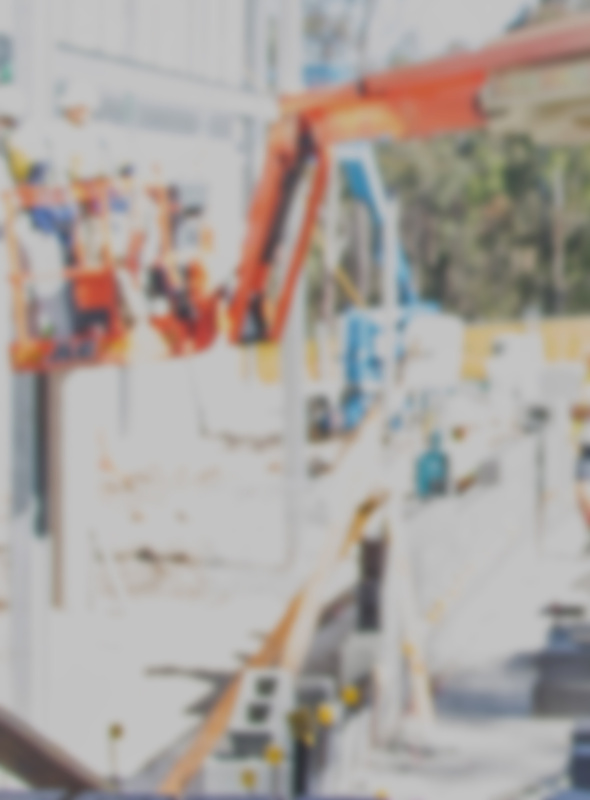 This systematic teaching and training offered the bilinguist an inside look at the lifecycle of industry projects – from earliest conception to demolition. "I saw the same old complications repeated over and over again," he recalls. "While there's no single solution, I like to think they can be adequately addressed so they don't occur more than once." "Working through the smaller concerns will hopefully help us piece together a bigger picture of what is actually going on." Sittimont joined the Sustainable Built Environment National Research Centre at the Swinburne University of Technology after receiving his award in 2011, signing on to partake in a 12-month assignment on offsite manufacturing. "It's not entirely new, but it can be very useful," he contends. "The purpose is to minimise activity on construction sites in order to help teams better control health and safety aspects of the job." "All that can be premade is premade in a factory and shipped to the location to be put together like Lego." "To be able to do this, however, the industry needs to change its way of thinking." With this and several other requirements in mind, Sittimont and his colleagues created new and highly useable software for stakeholder facilitation for off-site manufacturing adoption in large-scale construction projects. "We developed an evaluation and checklist tool," he describes. "Though only a prototype, it can identify and notify each person involved in a particular project at every step of the construction process." Following the completion of this ambitious task, Sittimont became a University of Newcastle Postdoctoral Research Fellow in November 2012. Sittimont is currently working across a number of research areas, most recently collaborating with Dr Yuri Totoev from the UON School of Engineering. "Yuri created a semi-interlocking brick, which, again like Lego, connects to other bricks of its kind using just a mechanical pin and small hole," he elaborates. "Together with a handful of Masters and PhD students, we're exploring how to apply it to real-life building situations." A master at multitasking, Sittimont is also looking at ways to "effectively manage" the massive amounts of information that are collected and disseminated during construction. "Our industry is incredibly fast-paced," he comments. "Personnel from a range of different companies work together on a single project for 4 or 5 years." "Once it's complete, that team separates and join new projects with completely new faces." "So as you can imagine, it's easy to get confused and caught up in the details – especially when you're assigned to multiple projects at the same time." Pointing to Building Information Modelling (BIM) as the likeliest of administrative heroes, Sittimont asserts it and other forms of information technology could and should be taken full advantage of when it comes to organising communication materials. "BIM is a digital representation of the physical and functional characteristics of a facility that assists in planning and decision-making," he explains. "I'm passing the tool on to my students so by the time they finish their degree they will be well-equipped, or at the very least, have seen and used it and require very little training in the workforce." Sittimont is also teaming up with UON colleague Professor Peter Davis, experimenting with analyses of big data sets to reveal patterns and trends within the construction industry. "We're in the process of collecting project report submissions from the NSW Chapter of the Australian Institute of Building," he reveals. "Every year, the national body calls for awards nominations." "What we're doing with the information, however, is scanning it with the help of a computer to more fully understand what builders and managers and other personnel think of the term 'innovation.'" "Once we know this, we can either seek to promote it more, or better align it with government definitions." Joining forces soon with a PhD candidate from Malaysia as well, Sittimont is doing the same thing with Building Operational Data. "When a facility is finished, it will be handed over to the client and eventually to the Building Operation Team," he clarifies. "It's then added to a database for additional operations on the data, such as energy and water." "Our aim is to help the hotel industry make smarter uses of their resources." Perhaps the most intriguing of research assignments in Sittimont's portfolio comes in the form of a digital display of the 2012 Blue Mountains' bushfires. He has spent the last two years establishing another collaborative network with scholars from Taiwan, China, Canada and Australia, using their collective knowledge to inform the design and implementation of a pinpoint accurate computer model. "We've recreated that specific tragedy as told to us by the local community and other information inputs, such as the location's topography," he affirms. "It allows us to generate multiple scenarios, and in doing so, assist people to handle similar situations better in the future." "We call it 'Plan A to Plan K."
Acknowledging disaster management to be a "tricky and sometimes dangerous" professional area, Sittimont has also developed a scenario-based computer game to safely teach his undergraduates lessons from the frontline. "This way they can study and learn real-life things from home," he suggests. "I'm in the middle of drafting a grant application to the Office of Teaching and Learning to expand what is now just a 'proof of concept.'" Interested in completing a PhD in Building? Dr Sittimont Kanjanabootra is a practicing Design Mechanical and Construction Engineer with 4 years practical experience working in the Construction Industry on projects including high rise apartment complexes, warehouses, multi-storey shopping centres, hotel renovations, resorts and office buildings. Dr Sittimont's PhD at RMIT University was a study of design and implementation of engineering knowledge management systems in Australia.The thesis was nominated for the Australian Professors Award for most outstanding thesis. Dr Sittimont has worked for Meinhardt Thailand, an Engineering Consulting company in construction; for RMIT University lecturing; and for the Sustainable Built Environment National Research Centre at Swinburne University. 4. Construction Management in Asia. 5. Off-Site manufacturing in construction. 6 Construction Knowledge management systems. © 2018 Elsevier Ltd Vietnam has been extensively impacted by flooding over the years, sustaining heavy losses in human life and damages to housing, agriculture, and transportation. Flood risk in Vietnam is not widely understood beyond a very hazard-focused conceptualization, which often neglects to consider human vulnerability. The objective of this paper is to understand flood risk management (FRM) activities at local levels in Quang Nam province in Vietnam, along with legal and institutional frameworks that are intended to focus, but often restrict, policy and practice. Vietnam&apos;s legal and institutional frameworks are analyzed to provide an overview of the scope of existing FRM activities in Vietnam. We then examine the extent to which FRM in Vietnam follows recognized theoretical frameworks, and pinpoint where practice might be strengthened. Based on this positioning, we conduct 27 individual interviews with decision-makers in FRM at provincial, district, and commune levels in Quang Nam province. We argue that FRM activities at local levels in Vietnam are implemented according to the hierarchical structure of the political system and the responsibilities of various paramount government agencies, and that there is a lack of participation of experts, researchers, and scientists in steering committees. There is an urgent need for greater public participation in FRM at local levels. Since communes have a better understanding of their local conditions, empowering them with planning and decision-making power is necessary to improve the effectiveness of FRM activities. Our detailed analysis of FRM activities at local levels has implications for future efforts to mitigate flooding in Vietnam. © 2016, © Emerald Group Publishing Limited. Purpose ¿ One of the key elements contributing to successful post-disaster project teams is individual competence. Each project participant brings his or her own knowledge, experience and ideas to the collective. The kind of chaotic and fragmented environment that is common in post-disaster scenarios presents specific barriers to the success of projects, which can be mitigated by ensuring that staff members possess competencies appropriate for their deployment to particular contexts. The paper aims to discuss these issues. Design/methodology/approach ¿ The study utilizes a mixed-methods approach, incorporating unstructured interviews to extract key factors of competence, project barriers and strategy, and a subsequent questionnaire survey, designed to quantify the various elements. Interviews were undertaken and analysed using a cognitive mapping procedure, while survey data were processed using SPSS. The data were then utilized in the development of a software prototype using Design Science Research methodology, capable of modelling the deployment of staff under various disaster scenarios. Findings ¿ Analysis of the survey and cognitive mapping data, in conjunction with relevant established frameworks, has allowed the classification of relevant competency elements. These elements have subsequently been measured and modelled into the competency-based tool and developed into a working prototype. Originality/value ¿ The developed system offers novel disaster competency assessment criteria. The system contains a variety of real-life scenarios derived from extensive data collection. These multi-hazard scenarios are embedded with knowledge and competency valuation criteria that can facilitate actors to assess their team¿s knowledge based on selective scenarios. In disaster response, time is a critical element, and this tool assists decision makers. It can enable disaster response actors to evaluate and assemble the appropriate personnel to deploy into disaster areas and into specific types of disaster environment. Vietnam is vulnerable to multiple hazards, particularly in the central region. Flood damage statistics show that this part of the country is impacted by both unfavourable terrain, and human interference leading to environmental damage. Such damage is often a result of poorly planned and managed forestry and hydropower plants. This paper examines the key vulnerabilities present in Vietnam while investigating the key problems in the development of hydropower in Vietnam; environmental impacts, design and construction of dams and the operation of dams.